The Moray Firth of Scotland has a fine maritime history. This book introduces the nearly forgotten sealing and whaling industry of the Nineteenth century. It includes ships, masters, men and anecdotes from Fraserburgh and Banff, with a year by year breakdown of the industry. 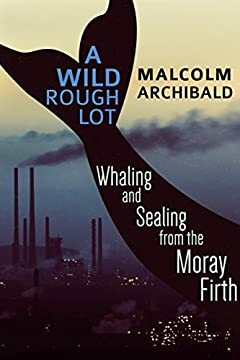 ?A recognised expert on the Scottish whaling industry, Malcolm Archibald has written a number of books on the subject, including Whalehunters (Mercat Press, 2004), Ancestors in the Arctic (Black and White (2013) and The Dundee Whaling Fleet (Dundee University Press, 2013). He has appeared on the BBC on whaling related subjects and has worked as a researcher in the Dundee Whaling Research Project.